Unbelievable lunch ! Box one sea urchin ! I went to Izakaya at weekdays lunchtime after a long absence. Because I wanted to eat deep fried oysters. And, it was so crowded. So, anyway, I choiced a sea urchin and left-over flesh on the spine of tuna set (うに・なかおち定食). I like the set best on the menus at Ikenoya. 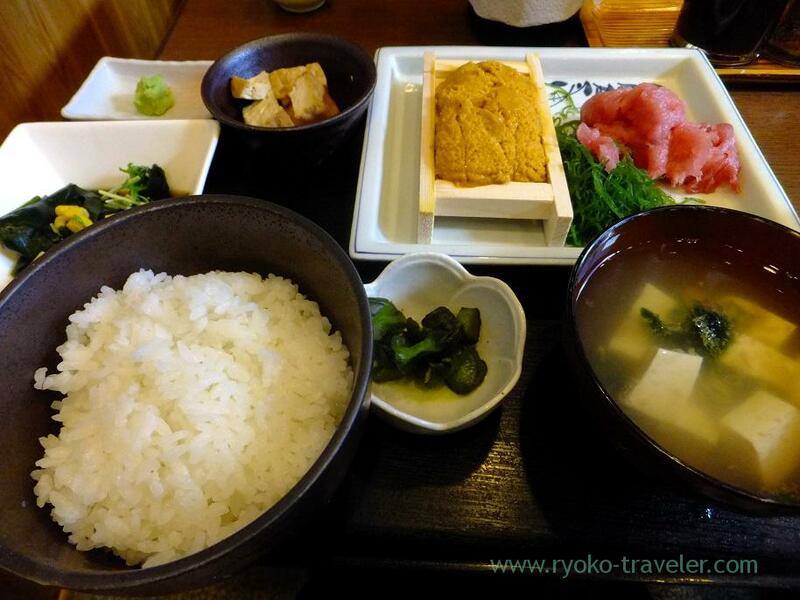 Ikenoya serves most set menus at lunchtime around 800 yen. But this set cost us 1000 yen. 4 digits. But, it have such a hearty meal ! Some people don’t like the miso soup, but I like it. It is more clear soup with miso flavor than miso soup. AND, Such a box of sea urchin in the set ! 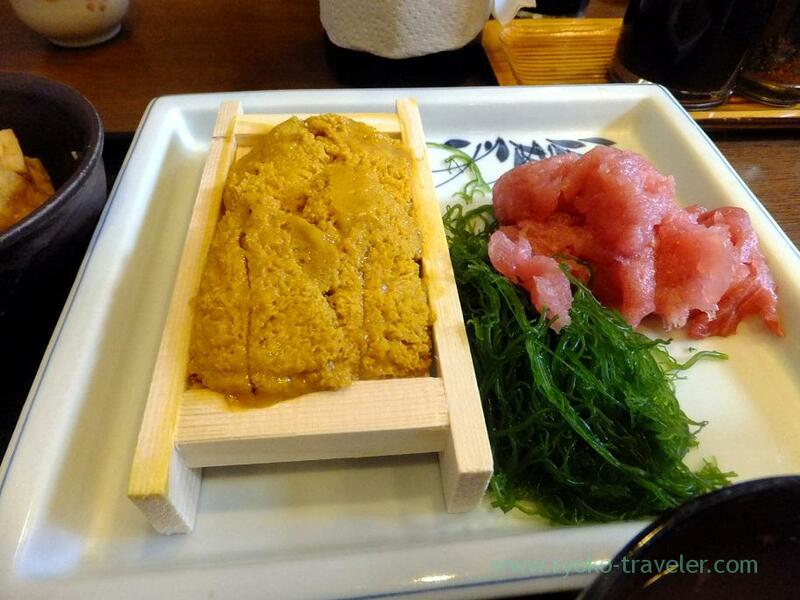 Eating with rice, Putting with tuna and seaweed on the rice, there are some ways of eating the plenty of sea urchin.